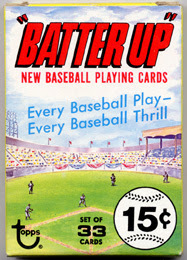 The Topps Archives: It's Cott To be Good! 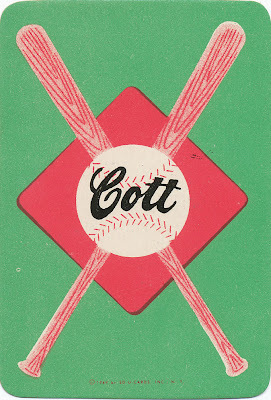 It's Cott To be Good! 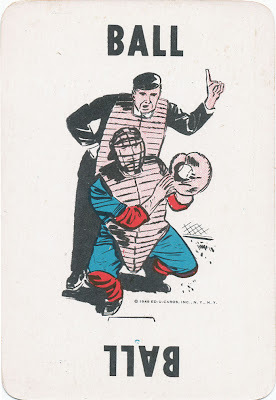 Anyone remember the phrase used as the title of today's post? 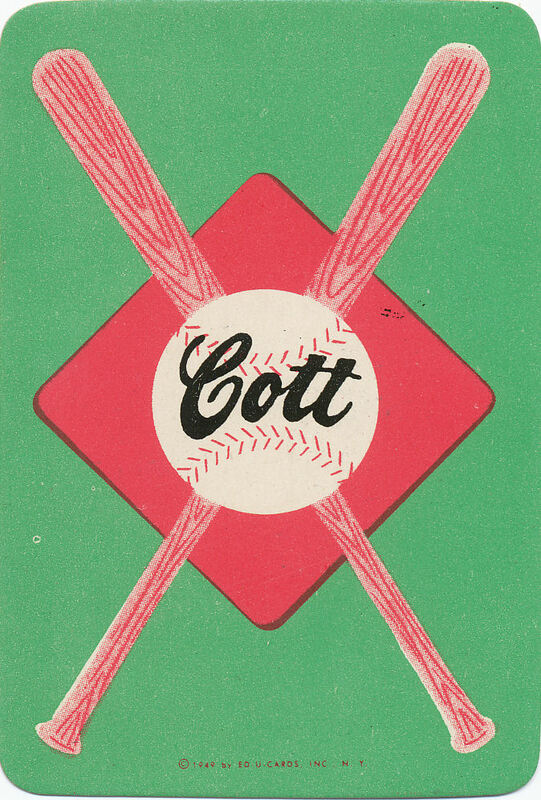 It was quite well known in the 60's and 70's as TV ads for Cott Beverages were seemingly everywhere in the New York tri-state area. 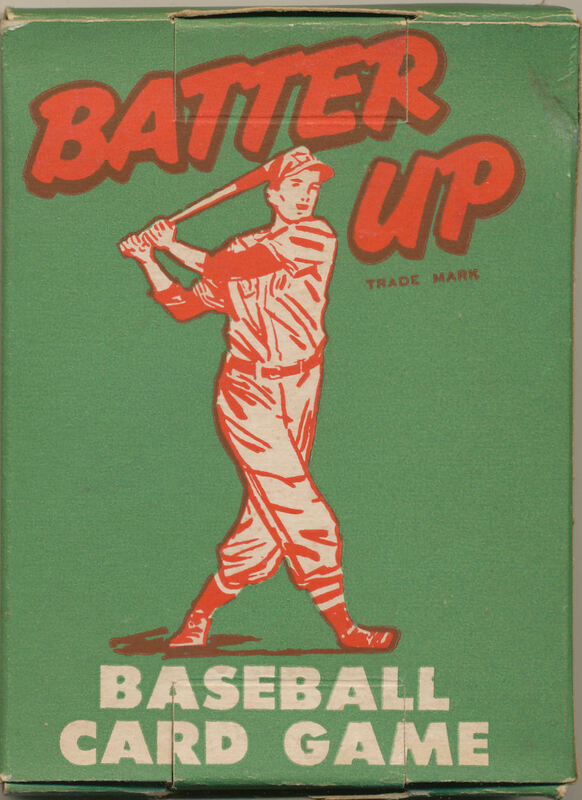 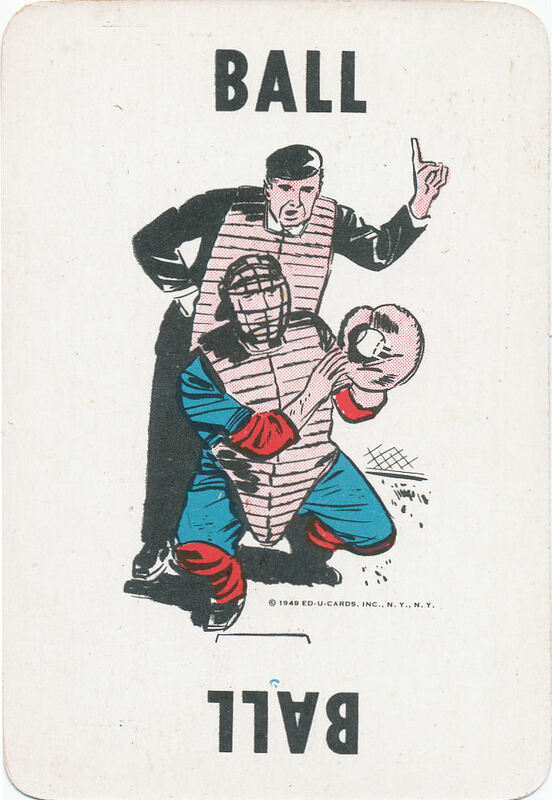 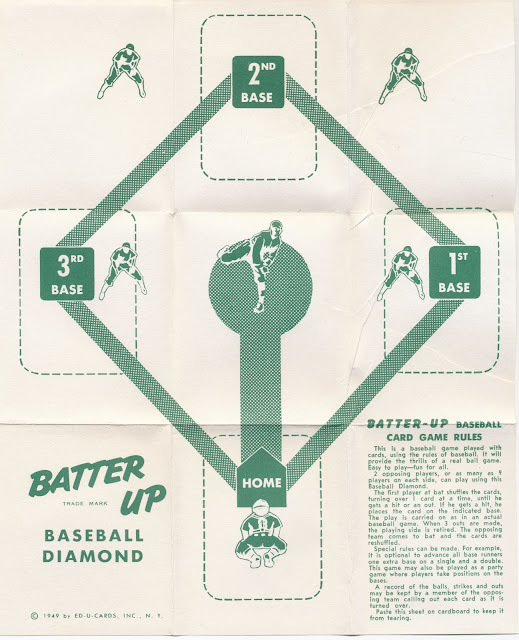 Cott also has an indirect tie to the 1951 Topps Red Backs bagged set and a direct tie to a 1950 (with a 1949 copyright) Ed-U-Cards boxed card game called Batter Up. 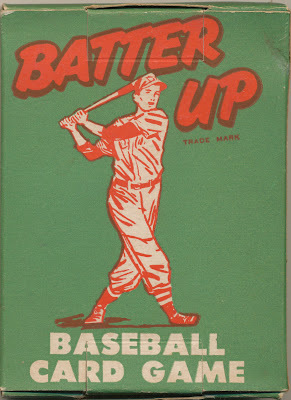 It is worth noting the Card Game Rules are the same as those on the diamonds packed with the '51 Red Backs set but there are slight differences on the bottom left panel when compared to later versions. The diamond measures 7" x 8 5/8" in case you were wondering.